Baseball can just be weird. Obviously, Hurricane Harvey has caused quite a tragedy in Houston. The Astros have been playing their ‘home’ games in Tampa. They returned home Saturday for a day/night double header, and because he’s that kind of guy; Matt Harvey was the first starting pitcher who opposed them. 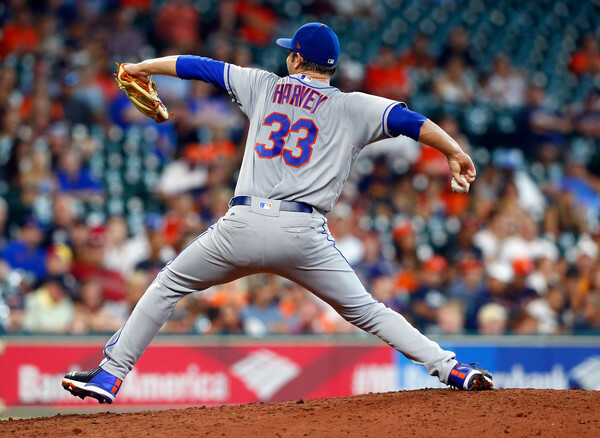 Harvey had not pitched since June 14th! This makes it more incredible. Maybe the Mets should have skipped one more start for Karma reasons, because Harvey went two innings, allowed 8 hits and 7 earned runs in an Astros win. His career seems basically over. He can’t get anyone out, he looks out of shape, and his arm seems like swiss. The Astros took both games today in Houston, and tomorrow the triumphant return of Carlos Correa happens! Maybe the ship is righting itself in Houston where the Astros have seemed somewhat average since a torrid first couple months.